2nd Place in Tannen's Magic Competition. Eaden Marti is a magician and mentalist who blends his talents to create a unique experience for all his audiences! As one of the nation's premier young magicians, he provides professional entertainment that is nothing short of outstanding. With years of experience and many awards under his belt, Eaden seeks to entertain and intrigue his audiences. Whether you're looking for a stage show or more intimate close-up magic, Eaden will provide a performance that the audience will remember for years to come. Truly amazing, inspiring and enthralling. Eaden captivated the audience with his unique approach and outstanding skill. Such a pleasure to watch him work, and mind boggling to participate. The perfect event performance! Our experience with Eaden Marti was top notch right from the beginning. At our event we decided only 7 days beforehand to hire a magician. Eaden responded right away to my inquiry, even though it is the busy Christmas season. He was also very busy but figured a way to squeeze us in. Then came the snow storm! Once we decided not to cancel and the parking lot was plowed, Eaden contacted us to tell us he would leave extra early through the storm to make sure he could get there and he did, the exact time he promised. We were thrilled he hung in there with us! Even though only half of our guests attended (about 60) because of the storm, Eaden knocked our socks off with his talents! We had a chatty excited bunch of kids sitting on the floor in front of the stage and I think every single one of them wanted to be chosen to come up and assist. He even hung out a bit afterwards to answer any questions and to chat. Eaden is a very responsible, reliable, well spoken, kind, and most of all, incredibly talented performer. We highly recommend him and will ask him back - hopefully it will be a sunny day the next time! THANK YOU EADEN! You are awesome. From first contact to actual performance, Eaden was professional, courteous and great to work with. He handled some tech snafus on my end in the booking process and was incredibly kind during it. During the event, our students loved his style and he was very easy going. Eaden Marti was professional, easy to work with, responsive to communications and helped to make our event a success! Eaden moved around the room entertaining a total of 125 guests at tables of 10. He performed several card tricks and mind reading tricks at each table. Feedback from guests has been overwhelmingly positive. Eaden is a skilled mentalist who can captivate his audience. I would certainly book an event with Eaden again! Eaden worked for our fundraising event this past weekend. Attendees were thrilled and mesmerized by his sharp and flawless slight of hand as he strolled the room. We highly recommend Eaden for any event. His seamless entry and flow during his time with us couldn't have been more perfect. Thank you, Eaden, for helping make our auction a success! Eaden entertained my guests at a house party of about 30 adults. He walked around the room doing tricks in small groups of 3-4 people. His card tricks and mentalist tricks are terrific and he fascinated and enthralled everyone! All adults were stumped! It was a nice way to bring in some extra fun to an otherwise regular house party. I recommend hiring Eaden for your party. He is professional, courteous, moves through a crowd easily and captivates people's attention. Highly recommended! You did a great job engaging the group that you had as I think they were all hanging on every word. You could have done better to move about the room and engage some of the other folks as I think you had a good amount of variation to the tricks that would have engaged more adults as well. I appreciated what you did. 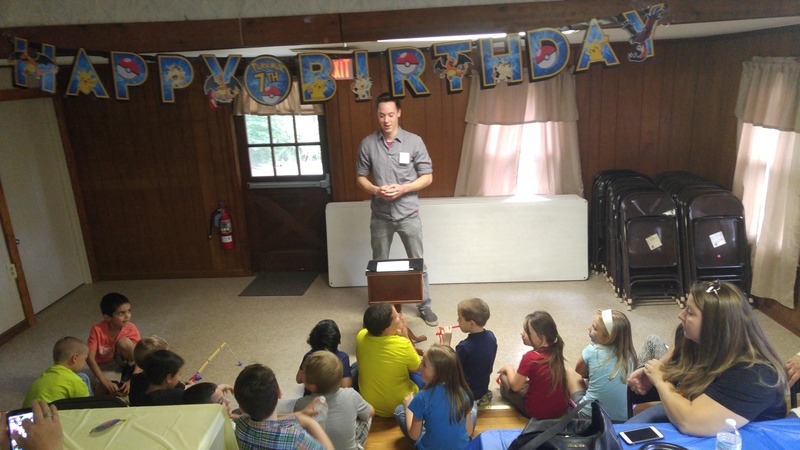 I have a summer camp that I run and I would consider having you come in for a special event day, which typically happen on Thursdays from 11-12. Thank you for the feedback, I am glad everyone enjoyed my performance at your party! I would love to work with you more in the future, and possibly at the summer camp that you mentioned next year! Our event was a year end celebration held outside in a swim and tennis club. Eaden went table to table entertaining a group of 70, from young families to the silver set. Our group, really enjoyed his entertainment. Our high school/college swim club staff are now all following him! Captivated an audience of 150 campers ages 4-13 years old! Provided up close magic, audience participation and mind blowing tricks that my campers and counselors are still talking about!! Very professional, punctual and overall a great experience. Worked our event of 50 people while roving and doing close up magic. Eaden is the real deal, he performed a professional show for us which entertained and puzzled us....how does he do it?! He is great with cards and then he kept us wondering how he figured out a word someone had picked on their own....it is great fun! he is professional and personable. I will girly recommend him for any party or event. Eaden was engaging, fun, and professional. 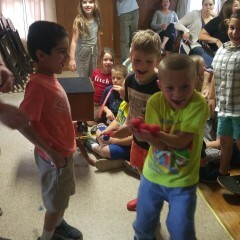 Eaden gave a show for a weeklong overnight camp for 8-18 year olds, everyone was thoroughly entertained. We liked how he showed some "normal" magic tricks first to warm up the crowd, and also to demonstrate his preferred brand of magic, being a mentalist. It was a great show that left many in the audience inquiring how the tricks were done for days after the event. Thank you Eaden, for a great performance. We wouldn't hesitate to recommend Eaden for other camps or events, he puts on an entertaining show! A big hit with our guests! We had Eaden attend our restaurant grand reopening and he was great. Guests were impressed at his work, candor and professionalism. 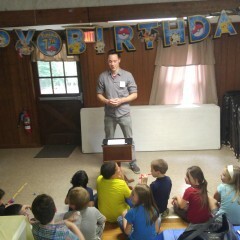 Eaden preformed his Magic at a private camp in New Hampshire. 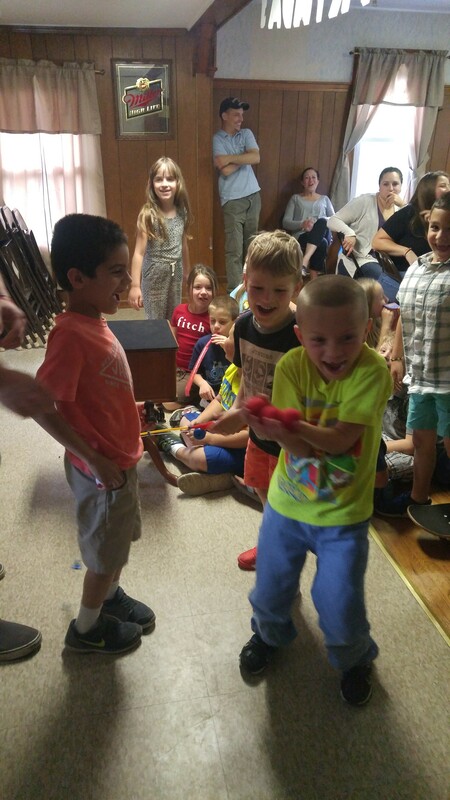 It was an audience of approximately 20, and Eaden's magic touched everyone! I would highly recommend this mentalist. Eaden did an hour of strolling around close-up magic at an informal retirement party at my house. He was a big hit and people enjoyed it very much. It really added a unique element to the party that people will not forget. He was great with the kids. Kept their attention and had cool tricks. Eaden's s magic is friendly, inviting and impressive. He had us chuckling one minute and awestruck the next! His confidence puts the audience at ease. I was particularly impressed with how his show entertained and engaged guests of all ages. My kids and I were equally enthralled. 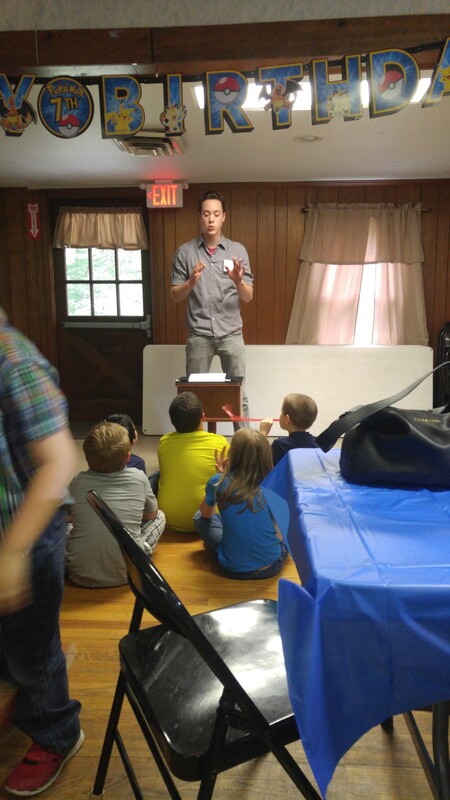 Eaden is a great on stage or up close magician perfect for any kind of outing. He is a very nice person and I would strongly recommend him. 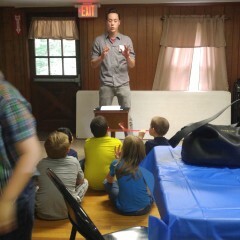 Eaden is a wonderful magician and had all the children as well as adults fooled with his magic! Insurance: $1,000,000 - Insurance can be requested for specific events. Specializing in magic and mindreading for all types of parties, anniversaries, school events, etc., Eaden is as comfortable entertaining audience of two people, or 500. A performer for all kinds of shows and all people, Eaden has performed amazing magic and mindreading for TV, colleges, clubs, restaurants, as well as all types of private and corporate events. Whether celebrating someone's birthday party or a holiday party at work, Eaden creates a group experience that brings people closer together through shared awe in the impossible. All shows are family friendly, though Eaden specializes in performances intended for ages 11 and up. Eaden does have show options for a younger audience, please contact him to learn more! Eaden saw his first magic show at age six and has since been learning, creating, and performing. Even though he is only 18 years old, he has worked hard to be at the top of his craft; including being a finalist in national magic competitions and state talent show competitions. Eaden spends hours every day practicing and learning new magic. He is happiest in front of an audience, wowing them and making them question their reality. Contact Eaden now to learn how he can make your event even more memorable! Eaden's act is self contained; He has an easy on/easy off stage kit. Eaden requires just a few minutes to be set up and to exit the stage. For strolling magic, Eaden works completely out of his pockets. No equipment is required. Every thing that he might need, he will bring to the event. For larger stages Eaden does require a handsfree portable mic. Stage Show: Hands-free, portable mic.